All job descriptions are below. Please scroll down. Click the blue link just under the job and photo to apply. We are a ‘Second Chance / Returning Citizen’ employer (we prioritize attitude AND work ethic). 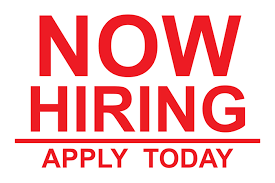 Pay is $12.00/HR to $21.00/HR depending on the position and experience. —-> You can also call 800-750-5650 to set up an interview and apply onsite. After-hour appointments are available. Please pay attention to the directions AFTER the address below for onsite interviews. ARTICLE: Are you a HIGH-POTENTIAL employee? 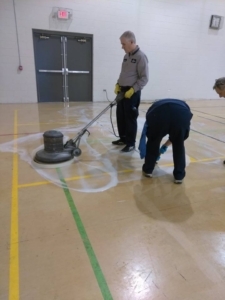 General Laborers / Project Persons / Floor Care Tech positions offer room to grow and gain additional skills. W-2 Employee positions. Bi-weekly pay (every 2 weeks). $15 – $16+ an hour. Start pay depends on experience. Potential increases with great attendance and work habits. Average 25-30 hours a week, some weeks are up to 40 hours with periodic overtime. Overtime is paid at time and a half after 40 hours. Days and times will vary due to the nature of our work. There are no set shifts or schedules. No benefits at this time. No experience is necessary. Hours are tracked with a timekeeping smartphone app. Uniforms are required, free uniforms provided. Employee pays small laundering fee. Main office located in Waterford, Michigan (please Google Waterford if you don’t know where that is). You must have a valid drivers license with a good driving record. You must be able to work a flexible schedule with some nights and weekends. You must be able to lift 50 lbs. or more and stoop, stand, kneel, and reach for long periods of time. You must obtain your Chauffers drivers license endorsement within 30 days of employment. Hiring experienced parking lot line stripers and pavement markers to join our busy crew for the 2018 season. The ultimate focus for these positions is Quality, Speed, and Safety. Must be very experienced with restripes and striping after sealcoating. Being proficient-enough with new layouts is workable. These positions require driving a box truck with a lift gate. Our striping division operates out of the company warehouse and garage located in Waterford, Michigan in Oakland County. We service all of Southeast Michigan on a regular basis and other cities within the state of Michigan on a periodic basis. 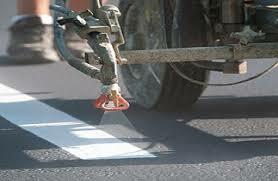 1 – 3 full seasons experience as a professional pavement marker required, pay ranges from $15 – $18/hr. Strong candidates that demonstrate high productivity and leadership skills have the potential to fast track and become a crew leader / foreman at $18 – $20/hr. 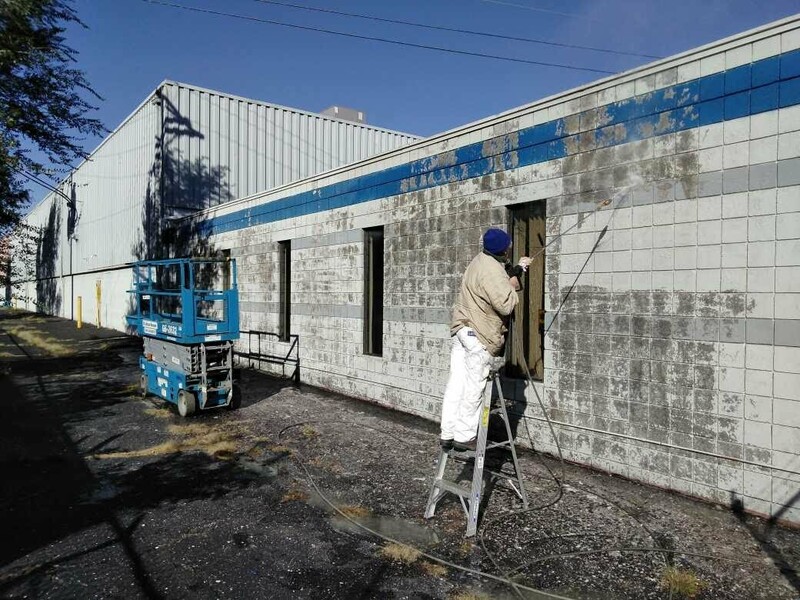 Those with painting experience who can proficiently operate an airless paint sprayer can do this job. Uniforms required, free uniforms provided. Employee pays small laundering fee. Biweekly pay (every 2 weeks), overtime paid after 40 hours. Very flexible schedule required, including working late nights and weekends with, at times, short notice mobilizations. These positions may also require fill-in work within other company services when and where needed (non-negotiable). These are SEASONAL positions. Moving into a Project Person role or Project Manager position after the striping season ends may be a possibility depending on the company’s needs at the end of the season and the employee’s overall performance. Starting pay is $15.00 to $16.00+ an hour. Biweekly pay (every 2 weeks). Entry-level parking lot line stripers will join our busy crew for the 2018 season through late November/early December. Our striping division operates out of the company warehouse and garage located in Waterford, Michigan. We serve all of Southeast Michigan on a regular basis and other cities within the state of Michigan on a periodic basis. Focus for these positions is Quality, Speed, and Safety. Must drive a company box truck with a lift gate. Flexible schedule required, including late nights and weekends. MUST be able to accommodate short notice mobilizations. These are SEASONAL positions. Moving into a Project Person role after the striping season ends may be a possibility depending on the company’s needs at the end of the season and the employee’s overall performance. This is a great alternative work opportunity for those with a landscaping, lawn cutting, painting background or who have experience with other hands-on outdoor work. If you can already use an airless paint sprayer machine, that is a BIG plus. 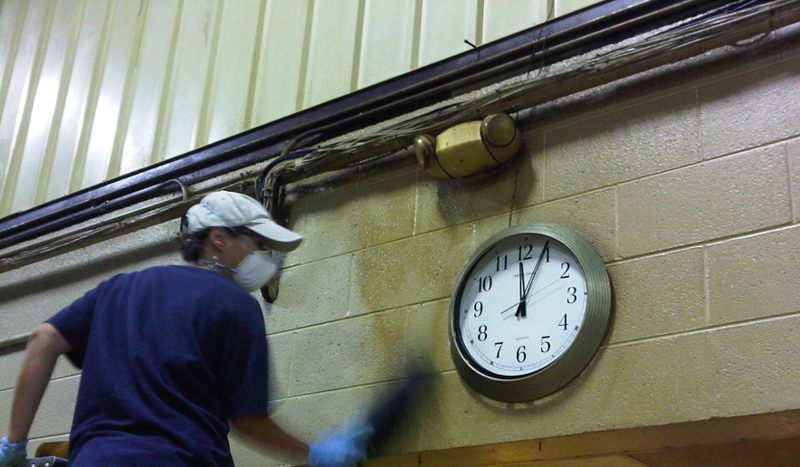 Painters with at least 5 years of strong INDUSTRIAL / MACHINE painting experience. Will accept previous commercial experience. Project management, estimating, and supply tracking experience a big plus, but not necessary. We are based out of Waterford, MI in Oakland County. Our service area covers most of SE Michigan. Must have reliable transportation & valid drivers license (non-negotiable). MUST have flexible schedule availability as some contracts require night and weekend work or are “squeeze ins”. Must be able to lift 80 pounds and not be afraid of heights. Must have lift (boom / articulating / scissor) and scaffolding experience. Sometimes it will be “all hands on deck” – while the primary focus for this position is painting, it also REQUIRES active participation with our other company services when and where extra help is needed (non-negotiable). Position requires heavy project management system interaction – must provide Main Office with daily / accurate field updates and progress photos via a smartphone app. We are growing and we would like you to grow with us. Pay range: $17.00 – $21.00 an hour to start, depending on experience. Increases with proven skill and work ethic. Work schedule averages 25-30 hours a week minimum, up to 40+ hours. This position is hourly and overtime is paid over 40 hours, bi-weekly pay. This is NOT a 1099 position. W-2 only. No benefits at this time. Paint contractor seeking to add support Painters with at least 2 years of general interior and exterior painting experience. Strong commercial skills preferred. Residential painting background considered. Must be ready to expand and apply skills into the industrial and machine painting area. Our office is based out of Waterford, MI in Oakland County. Our service area covers most of SE Michigan. MUST have a flexible schedule and adaptability. Some contracts require night and weekend work or are short-term “squeeze in” projects. Must have lift (boom / articulating / scissor) and scaffolding experience, or can be trained to operate the equipment. Pay range: $15.00 – $18.00 an hour to start, depending on experience. Increases with proven skill and ethic.